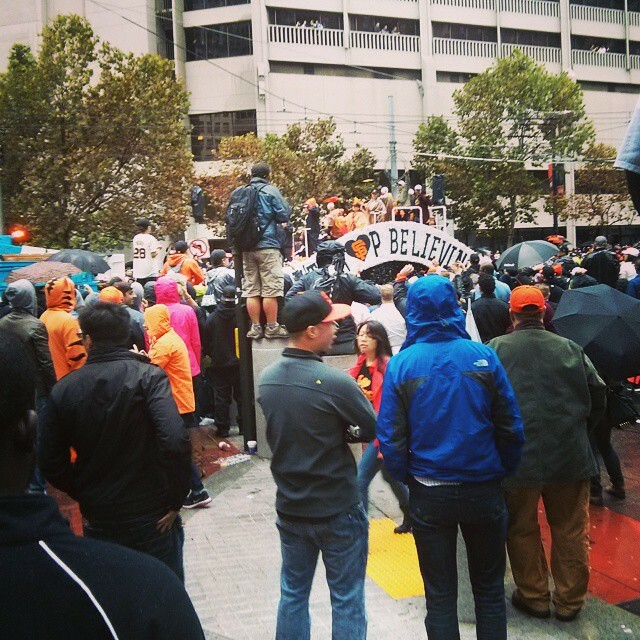 Just your average day in the Bay Area, went to SF for a work meeting and got caught in a parade. Go Giants! World Series Champs! ← Getting some beauty rest.